Advice on sources and research strategies for genealogy in the United Kingdom and Australia, plus references to specific individuals. If your ancestor had a brother, sister or cousin who emigrated to Australia, our records including very informative death certificates may give family details not available in the UK. Explore the options in the tabs below, in the sidebar and at the bottom of the page. For the county of Kent (England), thousands of fully indexed images of original Anglican parish records (baptism, banns, marriage and burial registers from the early 16th century up to 1918) will be made available online for the first time, exclusively at Findmypast. The first records will be published later in 2018. In addition to using the search function, we will be able to browse the images page by page. Once fully digitised and indexed, these new additions will join Findmypast's Canterbury collection and existing collections of Kent Family History Society records to form the world's most comprehensive online repository of Kent parish registers. To find out what Kent records are currently online, go to the full list of UK records on Findmypast and search for the word Kent. Today Findmypast announced that they are now offering customers the opportunity to sign up to three new package tiers (Starter, Plus and Pro) - and the 1939 Register is (for the first time) available to monthly subscribers to the Plus and Pro packages. All three options (Starter, Plus and Pro) aim to simplify Findmypast's offerings for the UK market. They have been specifically tailored to family historians. Whether they are looking for a simple way to begin exploring their family history, to take existing research further or to uncover detailed facts about the lives of their ancestors, customers will be provided with access to the records they truly need at each stage of their research. The 1939 Register is now available to monthly subscribers for the first time; and both 'Plus' and 'Pro' subscriptions include unlimited access to that wartime 'census'. This essential resource, only available online through Findmypast, plugs a vital 30-year gap in British records, and it is the only surviving record of the civilian population of England and Wales between 1921 and 1951. Starter package to help beginners on their journey. This offers the simplicity of starting with essential birth, marriage, death and census records, and it includes full access to Findmypast's family tree hinting system, allowing users to quickly trace their family's story back to 1837. As it's designed specifically for beginners, the package also includes Findmypast's search functionality, support content, live chat and instant help - and all new subscribers will receive a free Getting Started guide. Prices: £8.95 per month or £72 per year. Plus package with 1939 and all the essentials for the keen hobbyist. This is designed for those wanting to take their research to the next level - which is why, for the first time, Findmypast has included the 1939 Register in a monthly subscription. This unique record set will now be available to even more members of the genealogy community, enabling more people than ever before to discover their civilian ancestors in England and Wales at the start of World War 2. Beyond the 1939 Register, all parish, military, education, institutions and social history records as well as all electoral registers, directories, and travel and migration records will help Plus subscribers delve deep into their family trees. Prices: £12.95 per month or £120 per year. Pro package to bring the serious genealogist's research to life. This package contains everything the serious or professional genealogist needs to explore the lives of their ancestors in detail. It includes access to all of Findmypast's global record sets and advanced resources such as PERSI, the 1939 Register, and the largest online collection of British and Irish newspapers in the world. And with priority customer support, exclusive Webinars and advanced education aimed at experienced genealogists, Findmypast will help Pro subscribers expand their research every step of the way. Prices: £15.95 per month or £156 per year. I've had a World subscription to Findmypast for many years. It will be interesting to see what proportion of new subscribers choose each of the three subscription packages. 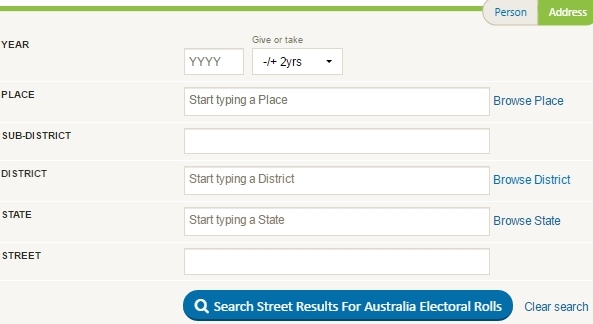 You can do either a name search or an address search in the Australian electoral rolls collection at FindMyPast. Queensland: State electoral rolls 1860-1884, and Commonwealth electoral rolls 1895-1915 and 1903, 1906, 1913, 1922, 1934, 1941, 1949 and 1959. Only 45% have images of original rolls, but transcriptions for 1860-1884, 1903, 1913, 1922, 1934, 1949 and 1959 are very useful. New South Wales: State electoral rolls 1903 and 1913, and Commonwealth electoral rolls 1935. 100% have images. South Australia: Commonwealth electoral rolls 1939, 1941 and 1943. 100% have images. Western Australia: Commonwealth electoral rolls 1939, 1943 and 1949. 100% have images. Tasmania: Commonwealth electoral rolls 1916, 1934 and 1943. 66% have images. Northern Territory: 1895, 1906, 1922, 1928, 1929, 1930, 1931, 1934, 1937 and 1940. No images. Victoria: Currently available as a browse-only set. Index searches are free. To see transcriptions or images of original records, I recommend either a one-month or twelve-month subscription ('World' or 'Australia'). Details below are derived from Electoral Pocketbook (Commonwealth of Australia, 2005). 1901: State franchises applied at the first federal election (NSW, VIC, QLD, TAS men over 21 years; SA and WA men and women over 21 years). Enrolment and voting were voluntary. 1902: Most men and women over 21 years were allowed to vote at federal elections. However, Aboriginal natives of Australia, Asia, Africa or the Pacific islands except New Zealand were excluded from enrolment and voting unless they already had the franchise at State level. Women over 21 years were allowed to vote in NSW elections. 1903: Women over 21 years were allowed to vote in TAS elections. 1905: Women over 21 years were allowed to vote in QLD elections. 1908: Women over 21 years were allowed to vote in VIC elections. 1911: Enrolment (but not voting) became compulsory. 1915: Queensland introduced compulsory voting in State elections. 1920: Nationality Act 1920 gave British subjects all political and other rights, but South Sea Islanders were still unable to vote despite being British subjects. 1924: Voting at federal elections became compulsory. Enrolment had been compulsory since 1911. 1925: Natives of British India living in Australia were allowed to vote. 1949: Aboriginal people were given the right to vote at federal elections provided that they were entitled to enrol for State elections or had served in the Defence Forces. 1962: All Aboriginal people became entitled to enrol and vote at federal elections. 1973: Qualifying age for enrolment for federal elections was lowered from 21 years to 18 years. 1984: Enrolment and voting for Aboriginal people became compulsory. Franchise qualification changed to Australian Citizenship (but British subjects on the roll immediately before 26 Jan 1984 retained enrolment rights). Queensland has four separate series of electoral enrolment records. Differences and advantages are explained on Queensland Genealogy and Archives Research Tips. This is the address search screen at FindMyPast. If you can't find someone in the Australian electoral rolls collection at FindMyPast, check (on that page) the list of records included in the collection at that time, and (above) the legislation regarding who could enrol to vote. You should also try the electoral rolls on Ancestry.com. I've seen a case where a man used his real name on State electoral rolls and a completely different name on Commonwealth rolls. I only discovered that after I saw the alias mentioned in his Supreme Court probate file. If you've found any big surprises in electoral rolls, I'd love to hear about them. This posted was updated in August 2017 after more entries (for dates up to 1917) were added to the index. If you're looking for baptisms in the county of Wiltshire (England) between 1530 and 1917, start by searching the record set Wiltshire Baptisms 1530-1917 at Findmypast. 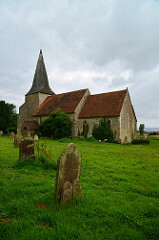 The transcriptions there (created by the Wiltshire Family History Society and by Findmypast) give some details (such as parents' residence in a different parish) that are not shown in Wiltshire baptism transcriptions on Ancestry.com. The illustration shows part of the entry for Sarah GIBLETT, whom I suspect may be a sister of my 4xgreat-grandfather Richard GIBLETT. If you're researching any GIBLETT, HYDON or HINWOOD family with connections to Warminster (Wiltshire) or Frome, Glastonbury or Shepton Mallet (Somerset), I'd love to exchange information with you. My email address is in the sidebar here. Archives in a particular region usually hold wills or probate records for many people who lived or died in other regions. That's why I deliberately chose not to mention a location in the title of this post. I've found an amazing amount of information about people in other States and even other countries in NSW Will Books 1800-1952. Countries mentioned include England, Scotland, Ireland, Wales, New Zealand, Canada, USA, South Africa, Germany, Fiji, Mexico, India, Holland, China, Papua, New Guinea, etc. The original books are held by State Records New South Wales. Before 1924 they contain handwritten copies of the wills. Between 1924 and 1952 the copies were typed. Images of the Will Books are on FindMyPast. Searches are free (you only pay if you want to see an image or transcription). My search tips are shown below. Start with strategy no.1, then try no.2, and so on. Search for a name in 'Who' (you can use asterisks as wildcards). 'Death year' is optional, and you can select 'give or take' (+/-) up to 40 years. For now, ignore the 'Residence' field. In the separate field called Heirs' or executors' last name, enter a surname (you can use asterisks as wildcards), but leave both of the Who fields empty. If you use the Residence field, use wildcards. You'll understand why if you search for *Brisbane*, with asterisks before and after, and note the residences shown in results! Data in the Residence field is not entered in any set format. It may be just a town, or just a State, or just a country, or town+State, or State+country, etc (with or without punctuation, which makes a difference to the results). Sometimes places are abbreviated (eg, Queensland / Qld). Experiment with other variations and combinations. Keep a list of the search criteria that you use, because you may later think of other ways to search. When you use the Heirs' or Executors' Last Name field, be aware that the results may be incomplete. For example, you won't find heirs and executors of Julia COUTTS because (although they are shown in her Will Book entry) the names have not been included in the transcription. Presumably you could add them to the database by clicking 'Report an error in this transcription' and entering the names in the appropriate fields. It is essential to view images of the original Will Books, because a 'transcription' does not include the will itself. Click 'Learn' above the search boxes to find out more about the collection. Although only a few of my ancestors were in New South Wales, I've already found fifteen wills - and that's just from random searches 'off the top of my head'. Imagine what I might achieve if I get organised and do systematic searches in Will Books 1800-1952! I am a big fan of FindMyPast for genealogy research. For records that are also on other sites, FindMyPast's indexes and transcriptions are (in my experience) more accurate (and this is particularly obvious with British censuses). Searches are free. FindMyPast includes an especially good collection of Queensland records, and I have also been using their British census records and parish registers for many years. Recently I made exciting discoveries in NSW will books 1800-1952 (which include information about many non-NSW people), passenger lists, Royal Household records, the 1939 Register, East India Company and civil service pensions, and non-conformist baptisms, marriages and burials. For example, UK outwards passenger lists showed that between one British census and the next, some of my families went to South Africa and Canada and then returned to England. In September 2017 Findmypast introduced new search options. Birth, marriage and death subcategories were split into two types (civil records and parish records). Multiple subcategories can now be selected within the search form. These changes let you control the number of results you see. To sort the results, click on the title at the top of the appropriate column. For more advice see 'Searching these records' on Life Events (BDMs). Original parish register images that are online only at Findmypast are for Cheshire, Devon, Hertfordshire, East Kent, Leicestershire, Rutland, Shropshire, South Yorkshire, Staffordshire, Wales, Westminster, Yorkshire North Riding and Yorkshire East Riding. Scroll down on British and Irish family you won't find anywhere else. New record sets are added every week. Check the full list of record sets worldwide plus last Friday's additions. Additions to the superb Yorkshire collection include the Prerogative and Exchequer Courts of York Probate Index 1688-1858. A 12-month World or Britain subscription now includes unlimited free access to the 1939 Register for England and Wales. This is similar in some ways to a census, but it shows exact birth dates, and name changes after marriage, by deed poll, etc. The British Newspaper Archive is available within FindMyPast. There are many ways to search. For example: 'Search All' is good for people with connections to more than one country, or for one-name studies. 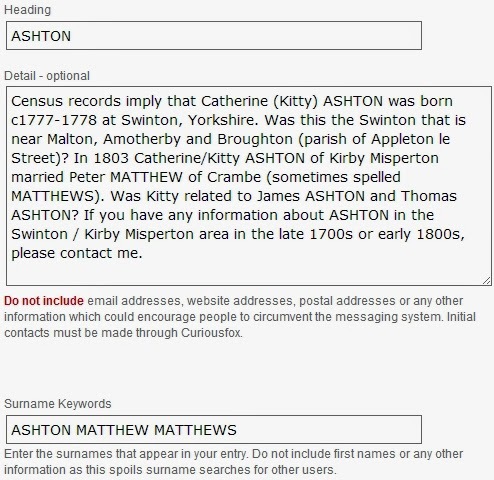 'Category search' lets you search multiple datasets of a similar type (such as all census years). 'A-Z' lets you select a single dataset and search it with more powerful filtering options (and I recommend doing this). Links marked 'Learn more' and 'Discover more' lead to helpful information about the original records. When the general public is allowed several days of free access, FindMyPast adds the same number of free days to existing 12-month World subscriptions. You can now attach records to your online family tree, which can be created by importing a GEDCOM file or by entering data manually. Findmpast has partnered with BillionGraves to add more than 12 million grave marker (headstone) indexes (with more to follow). Findmypast offers DNA testing services for genealogy (through FamilyTreeDNA, a reputable company that is probably the best one to use if you have British ancestry). Article about the 1939 Register (England and Wales). 'Top tips for overcoming 'brick walls' in family history'. Records from Origins.net were added to FindMyPast. That includes the National Wills Index with pre-1857 probate material for England and Wales. FindMyPast will be the largest online resource for UK wills and probate (and those records include data for people from other countries including Australia). The collection includes (to name just a few) Queensland intestacies and wills (from Government Gazette notices); Bank of England wills extracts 1717-1845; British India Office wills and probate; London probate index; Suffolk testator index 1847-1857; Great Western Railway shareholders; index to death duty registers 1796-1903; index of Irish wills 1484-1858. To narrow your search in the 'wills and probate' collection, click 'Browse record set' then select the one(s) you want. Searches on FindMyPast are free. You only need pay-as-you-go credits or a subscription to see transcriptions/images of original records. Always view images if available (they have details not shown in transcriptions). If you are not sure whether FindMyPast will suit you, use the 14-day free trial (un-tick 'Auto-renew' in MyAccount after you register) or get a one month subscription. A 12 month subscription is the best value (and there is a 10% loyalty discount for renewing it), but some people find the one month option more convenient. It is available for the World collection and for each of FindMyPast's regional collections (Australia/NZ; Britain; Ireland; USA). 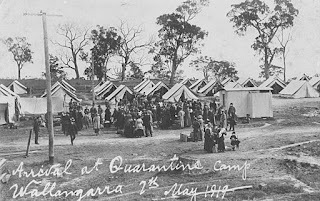 If you have no Australian research but need access to UK records, sign up via findmypast.co.uk. Check out FindMyPast's full list of record sets. They include many unusual sources that are superb for overcoming dead ends in family history! 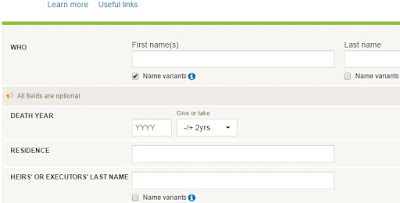 When FindMyPast has discount offers and 'free access' days (several times per year), they are usually listed on Genealogy Discounts and Freebies. CuriousFox is a gazetteer and message system that connects genealogists and local historians. Collaboration between these two groups is immensely beneficial. In CuriousFox, every town and village in the United Kingdom and Ireland has its own page. There is also a USA version, which I have not personally used. Exact map locations and historic maps. Free to join, add entries, and search by village or surname. With surname searches, finding relevant entries is easier because you can work at town / village level. You can search for 'nearby' entries. It is easy to edit or delete your entries. Google searches will find your entries (so 'new relatives' can contact you). No spam (your email address is not visible). Privacy (the system sends messages between members, and you decide whether to give a particular member your address). Contact and be contacted by all other members (free or paying). Receive email alerts when people add entries for towns of interest to you. 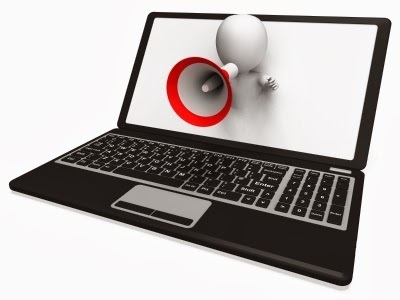 Publicise your Web page or blog. Give some thought to the wording of your entries. They should be concise, with surnames (and only surnames) in capital letters. Specify dates, and use appropriate punctuation. For large towns with many entries and multiple pages, delete your entry every year and immediately resubmit it (updated if necessary) so that it reappears near the top of the list for that town. I did this recently, and within 24 hours a local historian contacted me and offered to send transcriptions of land records for that surname/town! I hope you will try Curious Fox and share your success stories in a comment here. This is an updated version of a post that I originally published here in August 2010. It is also one of my contributions to 'Worldwide Genealogy: a Genealogical Collaboration'. FreeBMD is an ongoing project to transcribe civil registration indexes of births, marriages and deaths for England and Wales, and to provide free Internet access to those transcribed indexes. FreeBMD is an immensely useful site, and I like it even more since it produced the unexpected bonus of contact with new relatives via 'postems'. An excellent feature of FreeBMD (but one that is overlooked by many genealogists) is the ability to add a short message (250 characters maximum) called a postem to any entry in the FreeBMD database. The postem can tell people how to contact you - or if you buy a certificate that turns out to be for the wrong person, you can help other researchers by putting details from the certificate in a postem. Here is a step-by-step example of how I used a postem. I searched FreeBMD for the birth registration of Bertha OAKLEY, who (according to census records) was apparently born in 1895 in County Durham. This is the search screen. The search result looked like this. I clicked the 'Info' icon and added a postem with my contact details. When someone adds a postem, an envelope icon appears beside the entry, as shown below. You click the icon to read the postem. To my delight, a distant relative contacted me as a result of my postem! She had information about Bertha OAKLEY's grandfather, Benjamin PEACOCK, who was a brother of my great-grandmother, Mary HUDSON nee PEACOCK. This was just one of several similar successes that I've had with FreeBMD. I now always add a postem for each index entry that is (or could be) for my family... and I need to go back and add some that I didn't do originally. ...and the search result, showing two postems that fit the criteria. Go back and add postems to all of those entries. Include an email address that will be valid long-term, such as a free Gmail address from Google. Check the text carefully before you click 'create', because postems cannot be changed or deleted. Before you start, read the Postems Help page. Have you benefited from using postems on FreeBMD, or used them in different ways? These tips demonstrate why I recommend that you look for wills for every person in your family tree. Probate records, wills, intestacies, administrations and related documents are vitally important for family history. They provide clues for further research, and they 'put flesh on the bones' as we research our ancestors. They often have relationship details that prove whether we are researching the correct person or someone else with the same name. Magdalene NIELSON: Formerly of Bundaberg, Queensland, Australia, but late of New York, USA; wife of Peter NIELSON (formerly of Bundaberg but at present of Copenhagen, Denmark). The Supreme Court file at Queensland State Archives includes Magdalene's death certificate from America (giving her age, marital status, occupation, birthplace, how long in USA, how long in New York City, names and birthplaces of her father and mother, her place and cause of death, and class of dwelling); and a transit permit for her body to go to Germany, stating the exact burial place there. Ellis READ: He owned land at Burketown, Queensland, Australia; and when it was sold, a grant of probate was required so that a certificate of title could be issued. His Supreme Court file at Queensland State Archives shows that he lived in Mexico from 1882 to 1890; and between 1887 and 1890 he make business trips to England and lived there for a few months at a time. He died in Mexico in 1890. An affidavit gives a translation of details from his death certificate (age, cause of death, burial place, native place, occupation, wife's maiden name, father's name, mother's maiden name). Some of the other tips below give more examples of finding information in records of another State or country. Tip 2: Probate files may include birth, death and marriage certificates. The death certificate in a probate file is usually more accurate than a typed certificate that was issued later, and sometimes it has extra or significantly different details (examples are in Free Certificates in Archives Files.) Probate files often contain certificates that would otherwise be restricted and/or expensive! Some probate files contain birth, baptism, marriage or death certificates because beneficiaries had to prove their relationship to the deceased. From about the mid-1890s onwards, most Queensland Supreme Court probate files (and some intestacy files) contain a death certificate. The majority of these files are at Qld State Archives and have no access restrictions, so you can see very recent certificates. Photocopies cost about $1 per page, but if you take digital photos or copy from microfilm to a USB drive, there is no charge. It is worthwhile looking for files for your direct ancestors, their siblings and other relatives. The Titles Registry has a large packet of documents for a particular person (name withheld at my client's request), including seven certificates for births, deaths and marriages of various family members. Indexes to Transmission of Real Estate by Death 1878-1940, from Queensland Government Gazette notices, include all names mentioned. Many property owners and claimants lived interstate or overseas. For a detailed description of the index and original records, see the book Tips for Queensland Research. Margaret STAPLETON: Her death certificate in Queensland, Australia, says 'born Ireland, parents names unknown'; but her probate file at Queensland State Archives reveals their names. In her will, Margaret left property to her sister Johanna in Ireland. As Johanna's surname was spelt incorrectly in the will, she had to prove that she was the person named as beneficiary. Johanna was unable to supply her birth certificate because her birth had not been registered. Instead she sent a copy of her baptism record from a parish register in England! It gave her father's name and mother's maiden name. A second file was sometimes created because one of the deceased's children later applied for guardianship of younger siblings. Abraham ALMAN of Melbourne, Australia, died in 1854. Twelve years later, administration of his estate was granted (in the United Kingdom) to his widow, who had since remarried and was living in Middlesex, England. See Tip 10 for more examples of probate being granted decades after the death. 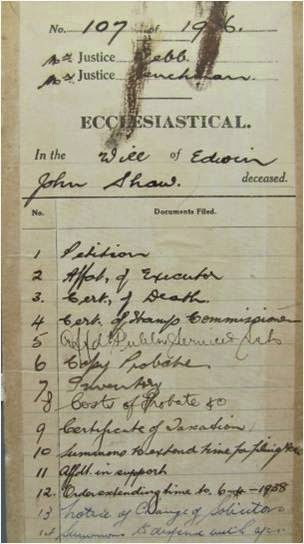 Ecclesiastical files ('wills'). This series includes (1) files with a will, and (2) files without a will if the estate was administered by someone other than the Public Curator. Public Curator orders and elections (commonly but misleadingly called 'intestacies'). This series includes (1) files without a will, (2) files with a will that named the Public Curator as executor, and (3) files for deceased estates administered by the Public Curator because the will was not valid (eg, if it was unsigned). In other words, there are six main series whose indexes you may need to search - plus minor series such as Supreme Court (Southern District) orders to administer (inventories). For more suggestions, see my book Tips for Queensland Research. Tip 8: A few Queensland Supreme Court probate files contain photographs. The ones I've seen were for people 'missing, believed drowned' after the steamers Pearl and Lucinda collided in 1896. Tip 9: FindMyPast will soon be the largest online resource for UK wills/probate, and those records include data for people from other countries including Australia. FindMyPast's 'wills and probate' collection includes (to name just a few) New South Wales will books 1800-1952 and Great Western Railway Shareholders index (see 6 Genealogy Sources You May Have Overlooked); an index to Queensland intestacies and wills 1859-1900 from Government Gazette notices; Bank of England wills extracts 1717-1845; Probate Calendars Of England and Wales 1858-1959; British India Office wills and probate; London probate index; Suffolk testator index 1847-1857; index to Death Duty Registers 1796-1903; index of Irish wills 1484-1858; and one of my favourites, Prerogative and Exchequer Courts Of York Probate Index 1688-1858. Material added to FindMyPast's wills and probate collection (http://bit.ly/2ALLwills) includes the National Wills Index from Origins.net for pre-1857 probate material for England and Wales. To narrow your search, click 'Browse record set', scroll down ('see more') and select the one(s) you want. George AMBLER of Richmond, Melbourne, Australia, died 10 Jun 1864. Administration granted 13 years later to his widow in Wales. Elma BERG of Chillagoe, North Queensland, Australia, died 15 Dec 1902. Joseph MOUNTAIN of London died 30 May 1834 at Hammersmith, Middlesex. Next of kin was his son John MOUNTAIN living (in 1883) in the USA. Harry White SMITH, otherwise known as Harry WHITE, formerly of Wolverhampton, Staffordshire, but late a Corporal in the 94th Regiment of Foot, died 5 Dec 1879 at Fort Albert Edward, South Africa. Richard SMITH late of Amoy, China, merchant, bachelor, died 26 Jan 1857 at Amoy. Administration was granted to his father in 1880 (23 years after Richard died). You will find them in the full list of Australian and New Zealand records on FindMyPast (one of my favourite sites for genealogy).